Nothing too mysterious here. 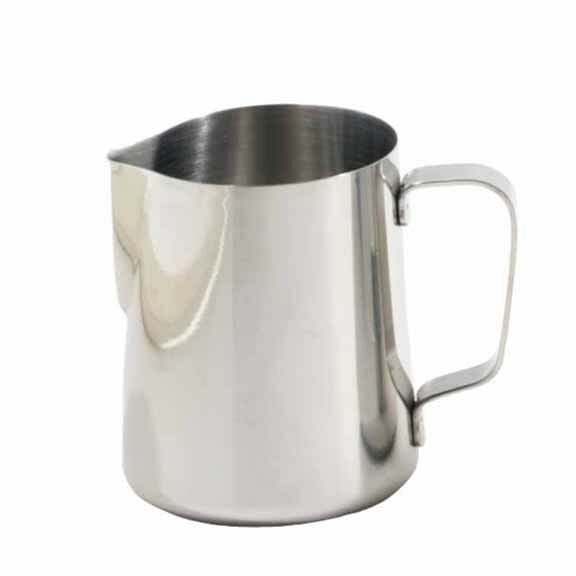 Just a simple 18-8 food grade stainless steel, straight-sided, thin-lipped, pitcher. The same model we use in all of our shops. We use the 20 oz. for the Latte and Mocha.